Visit the well known beach of Falassarna (about 50km west of Klinakis Beach Hotel, a 55 minute drive). At this beach you will also find windsurfing, and kite surfing. Along the way, visit the 13th Century Gonia Monastery (just 1km from Kolymbari village). Visit the lagoon like beach of Elafonisos and stop at the Monastery of Chrysoskalitissa along the way (about 70km, 1 hour and 25 min drive from Klinakis Beach Hotel). Balos lagoon and Gramvousa: a full day trip (take a ferry, availiable daily, from the port of Kissamos). About 50km west of Klinakis Beach Hotel. For further info, have a look at http://www.gramvousa.com (on-line booking is possible). Visit the ruins of the ancient city of Polyrinia (45km from Klinakis Beach Hotel). Polyrinia is considered to be the oldest city that the Dorians built in Crete (following the Minoan Period). Visit the Archaeological Museum of Kissamos (38km from Klinakis Beach Hotel) housed in a Venetian-Turkish monument. Hike the Samaria gorge – This is the well known gorge of Samaria, where thousands of visitors come to Crete and hike this gorge. This is a 15km (mainly downhill) hike – a whole day event. You can do it on your own by use of the local bus service from Chania central bus station or ask us about a tour. Therisso gorge:This is a unique gorge as it is one that you drive through to reach the village of Therisso where there are several tavernas. Continue to explore the traditional villages of Zourva and Meskla – beautifully scenic drive. The Eleftherios Venizelos tombs: (historical site) are located high above Chania centre and old town (great views) in the direction of Chania airport (about 7km of Klinakis Hotel). Aptera archeologikal site: This small archaeological site (ancient town of the Minoan era) is well worth a visit. From here there are wonderful sea views to the port of Chania (Souda) and the Akrotiri peninsula (about 17km of Klinakis Hotel). Itzedin Castle: A Turkish castle, built in the 19th Century. Also known as the Kalami fort (about 17km of Klinakis Hotel, 20min drive). Lake Kournas: The only freshwater lake in Crete! A good small trip to take with the family to enjoy the wonderful views to the mountains, lake and the sea. Walk around the lake, paddle-boat, feed the ducks and have a snack/lunch at one of several cafes/taverns (about 45km of Klinakis Hotel, 40min drive). Imbros gorge: A short and easy hike (about 8km) that starts at originates from the last houses of the village and end at Komitades village (about 60km of Klinakis Hotel). A guide is not needed. Once at Komitades village you can take a taxi back to your car (or if you are up to it, hike all the way back). Diktamos gorge: Hike the 7km gorge of Diktamos. This begins at Katochori village Malaksa and ends in Stylos village (or vice versa). The hike takes about 3 and a half hours each way. At Stilos village visit the church of Agios Ioannis Theologos and enjoy a drink/ meal at one of the taverns. Maheri gorge: Hike this 4km gorge which starts at Kares village (at the church of Agios Nikolaou) and ends at the entrance to Maheri village (or vice versa). This church of Agios Nikolaou is located at Kuriakosellia (towards Samonas village) and has byzantine frescoes. It is a beautiful church with archaeological significance. If you intend on visiting this church, do let us know as we would need to make arrangements for the key to the church (as it is not always open). 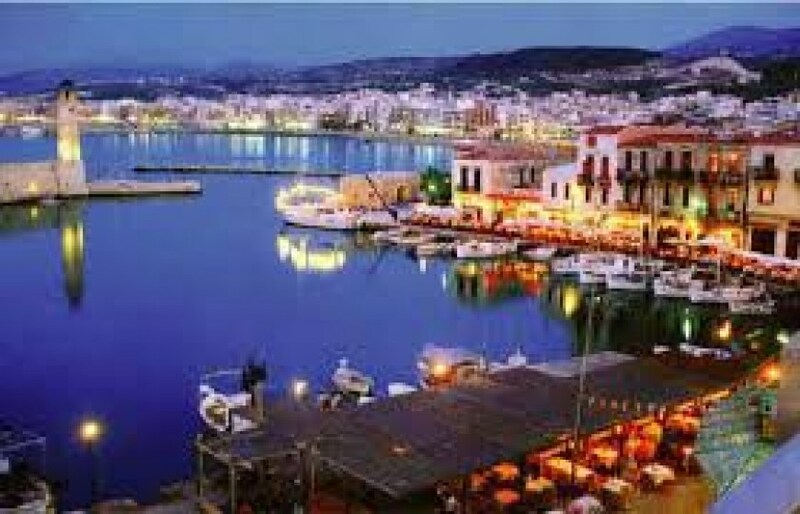 Visit the centre of Chania as well as the must-see old Venetian harbor and town (about 8km from Klinakis Beach Hotel). The bus station (for busses to Chania centre and prefecture) is on the main coastal road (old National Road). Tickets can be bought on the bus.